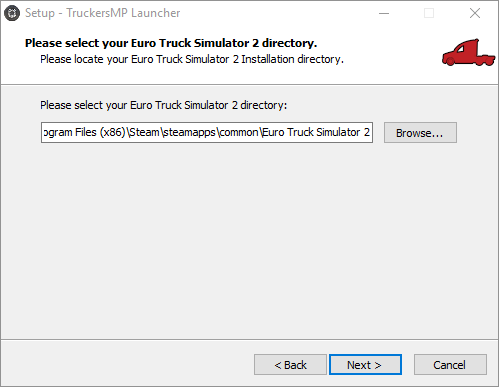 Installing TruckersMP is easy and free! It only takes a few minutes to complete your installation. The following installation guide will help you getting started with TruckersMP. 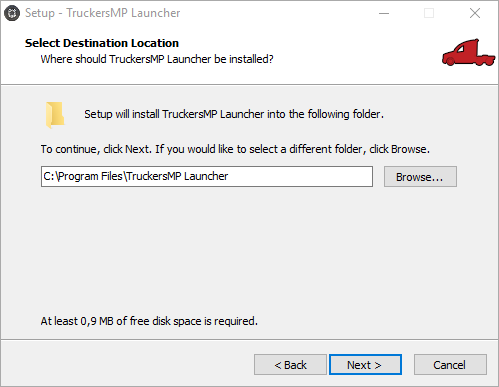 Download and unzip the TruckersMP Launcher from https://truckersmp.com/download. After you accept the License Agreement, you will be asked where you want to install the launcher to on your computer. Select the desired location and proceed. In the next step, you can select the type of installation you want. If you are unsure what to choose, select "Full Installation". If you have both Euro Truck Simulator 2 and American Truck Simulator, you can check multiplayer for both games. If you only have 1 game, uncheck the game you don't have. 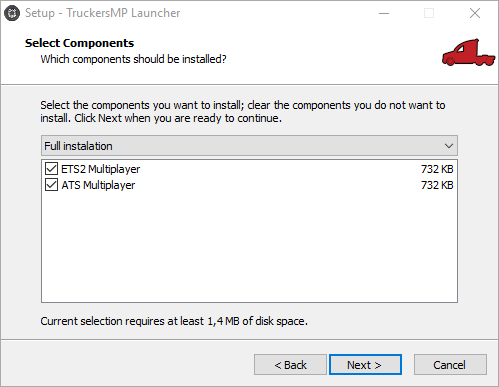 After selecting for which games you want to install TruckersMP, you need to specify the paths to those games. Depending on where you have installed those through Steam, the path may vary. In most cases, the path will look like "C:\Program Files (x86)\Steam\steamapps\common\American Truck Simulator" or "C:\Program Files (x86)\Steam\steamapps\common\Euro Truck Simulator 2". In the next steps, go with the default path or specify a custom path for the launcher's shortcut in the Start Meny folder and select if you want a desktop icon. After this you can finish the installation. The following are some of the most common installation problems. For more information and troubleshooting for problems, check out our Troubleshooting section.